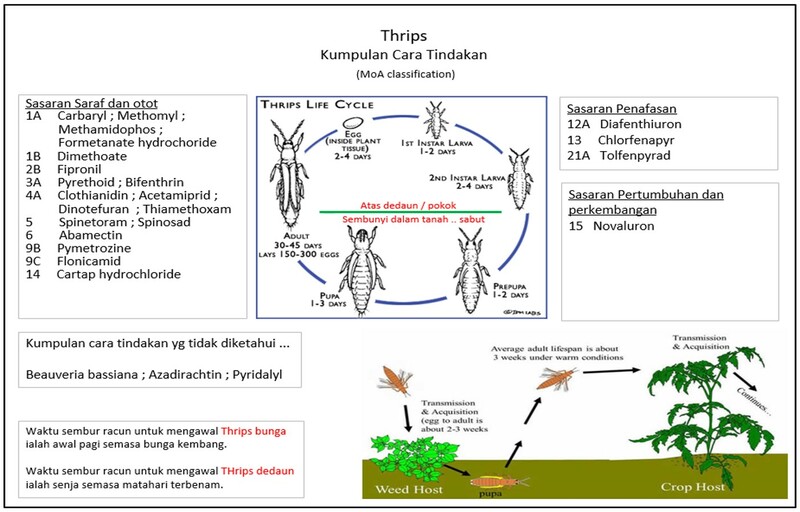 • Avoid exclusive repeated use of insecticides from the same chemical sub-group, (indicated by the IRAC MoA Group number). • Integrate other control methods (chemical, cultural, biological) into insect control programs. 3 groups in the classification are exceptions in that they do not contain compounds acting at a common target site and are therefore exempt from the proscription against rotation of compounds within a group. 3. Group UN, Compounds of unknown or uncertain MoA, for instance…Azadirachtin, Dicofol, Pyridalyl. Insect development is controlled by the balance of two principal hormones: juvenile hormone and ecdysone. Insect growth regulators act by mimicking one of these hormones or directly perturbing cuticle formation/deposition or lipid biosynthesis. Insecticides that act on individual targets in this system are generally slow to moderately slow acting. Group 7 Juvenile hormone mimics Applied in the pre-metamorphic instar, these compounds disrupt and prevent metamorphosis. Group 15 Inhibitors of chitin biosynthesis, type 0 Incompletely defined MoA leading to inhibition of chitin biosynthesis. Group 16 Inhibitors of chitin biosynthesis, type 1 Incompletely defined MoA leading to inhibition of chitin biosynthesis in a number of insects, including whiteflies. Group 17 Moulting disruptors, Dipteran Incompletely defined MoA that leads to moult disruption. Group 18 Ecdysone receptor agonists Mimic the moulting hormone, ecdysone, inducing a precocious moult. Group 23 Inhibitors of acetyl CoA carboxylase Inhibit acetyl coenzyme A carboxylase, part of the first step in lipid biosynthesis, leading to insect death. If pests pressure is high, growers are advised to apply pesticides from fast acting group coupled with pesticides from Growth and Development group.